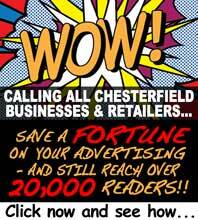 Chesterfield Borough Council is reminding residents to make sure they are registered to vote ahead of the forthcoming elections. The last day to register to vote in the elections on Thursday 7th May is Monday 20th April, 2015. Alternatively, residents can contact the council's elections team on 01246 345402. Huw Bowen, Chesterfield Borough Council's returning officer, said: "With the deadline of 20th April to register to vote fast approaching, it is important for residents to make sure they are registered to vote. "Otherwise, they risk turning up at the polling station on 7th May and being unable to vote - this means they will not be able to have their say on who represents them in parliament or on their local councils." 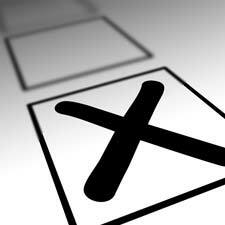 People wanting to apply for a postal vote must make their application by 5pm on Tuesday 21st April. On 7th May, elections will take place to parliament, where residents will decide who will represent them as their MP for the next five years. Elections will take place for all 48 seats in all 19 wards of Chesterfield Borough Council, where residents can vote for who will represent them as their borough councillor. Further information about all the elections taking place in Chesterfield can be found at the website www.chesterfield.gov.uk/elections. The website will be updated to include lists of candidates who will be standing for election once nominations close at 4pm on Thursday 9th April. It also contains information about postal and proxy votes and polling stations.